It’s apple time! Apples are one of our favourite fruits, the smell of freshly picked apples is fabulous. 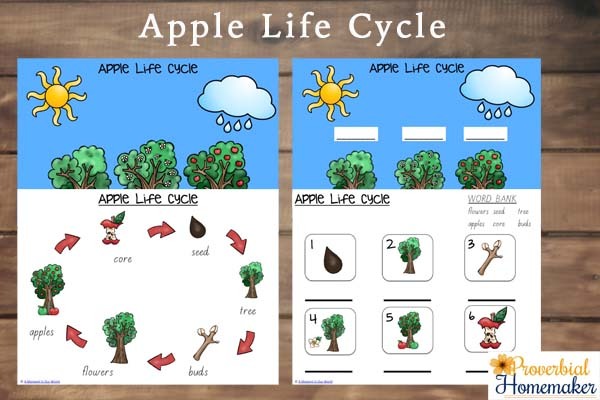 To celebrate, I have made these Apple Life Cycles printables. 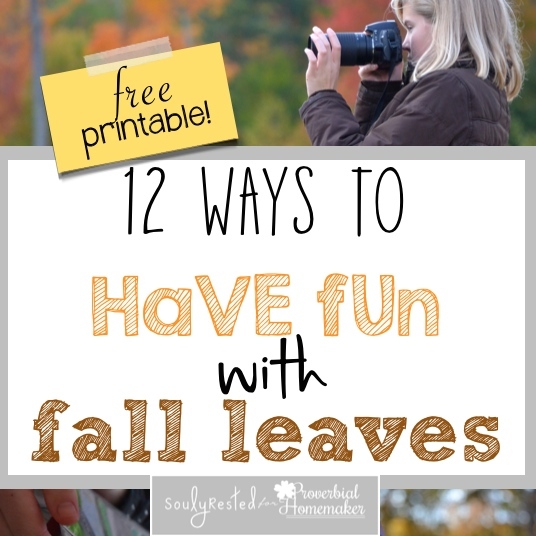 With over 30 pages, this printable pack includes activities aimed for toddlers, preschoolers and kindergarteners. 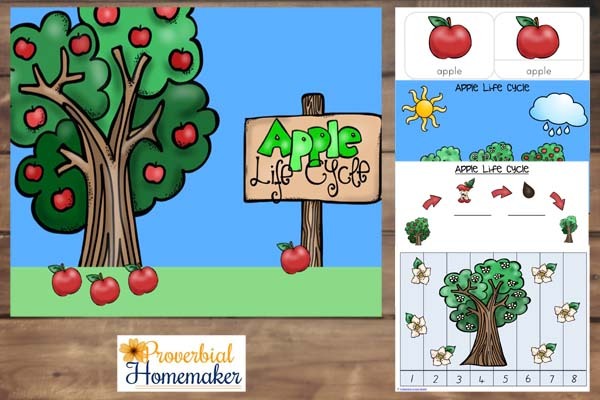 The apple life cycle pages inspire learning about how apple trees grow and produce these awesome fruits. 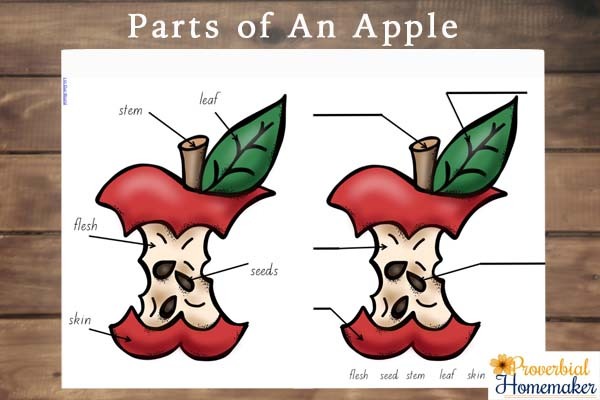 The Parts of an Apple are a great way to learn about an apple. 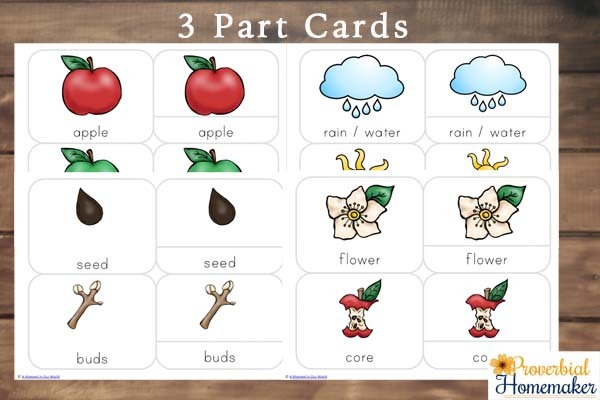 While completing these pages, have an apple cut in half and ask your child to point to the correct parts on the real apple. To become confident with scissors, practice is needed. 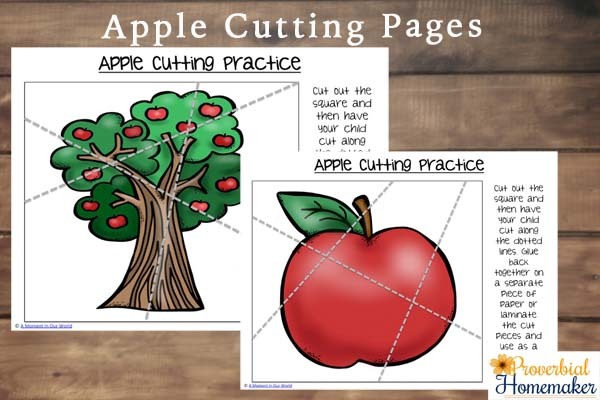 These apple cutting practice pages are easy enough for little hands to help them learn to control a pair of scissors. After they have cut the pieces, have them glue them back together on a separate piece of paper. Or, you could laminate the separate pieces and use them as a puzzle, placing the pieces together. These laminated pieces would also be good placed in a zip lock bag to take with you to keep your child occupied during appointments. I have also included some addition and subtraction pages in this pack, as well as colouring pages. 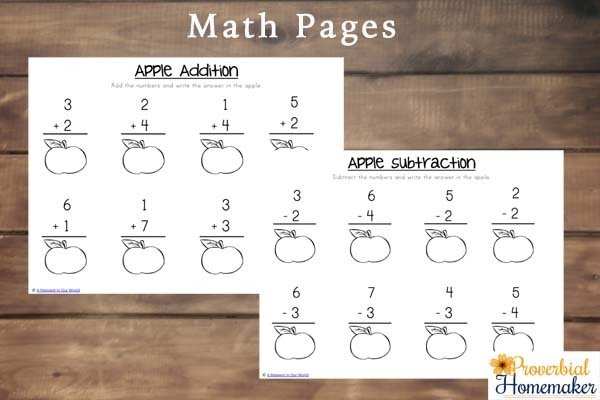 A great way to help your child with these math pages is to cut an apple into pieces and have your child use those pieces to help them complete the sums. 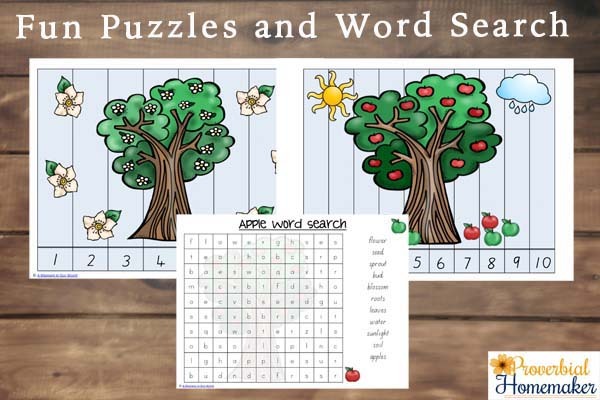 And finally some fun number puzzles and an apple word search! What’s your favourite thing about apple season?